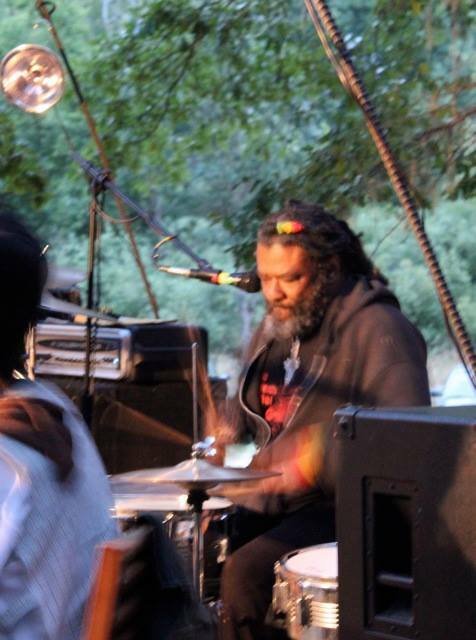 Madi Simmons has worked with many producers and sound systems all over the world over his long and BRILLIANT musical career. One such collaboration landed both MADI SIMMONS out of the USA and CULTURE HORN SOUND SYSTEMS out of Russia the GOLD. 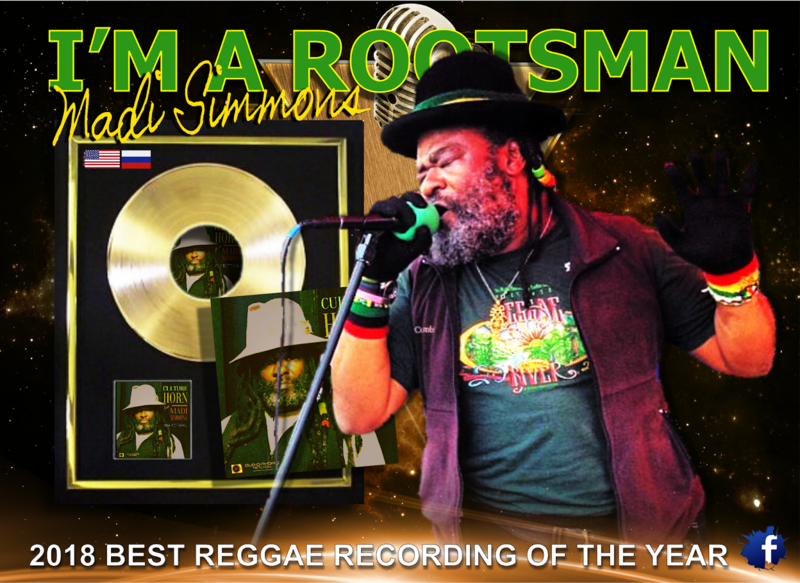 "I'M A ROOTSMAN" just took "2018 BEST REGGAE RECORDING OF THE YEAR in Russia and Northern Europe. It was a close race with "I'M A ROOTSMAN" getting 39% of the vote with close to 800 nods from Russian Reggae Enthusiasts ! 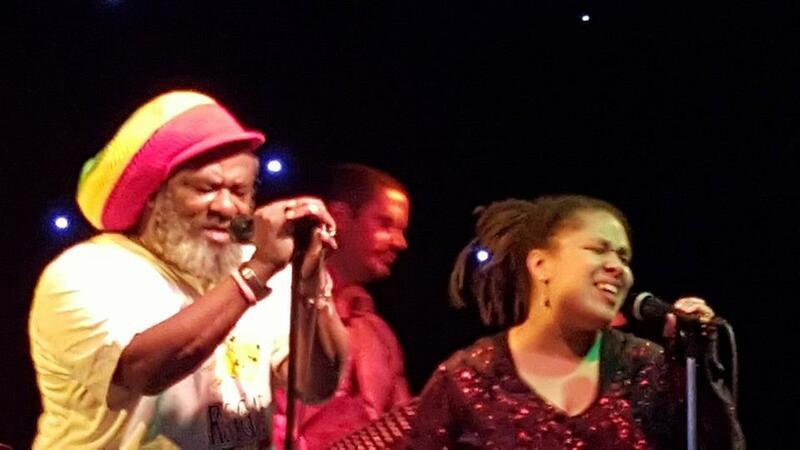 Nominated were six reggae albums from Russian artists, representing different reggae styles hosted by DAILY VIBES. We are all truly looking forward to what MADI SIMMONS has in store for his fans in this up coming 2019 season. Culture Horn Sound System is a weighty and heavyweight Russian dub sound system from the town of Kremenki in the Kaluga region in Russia. Built in year 2012, it managed to gather at least a dozen of musicians are around it, forming a big musical family from all over Russia. Armed with dub plates from local and international artists produced exclusively for CHSS, their sound is constantly being improved. 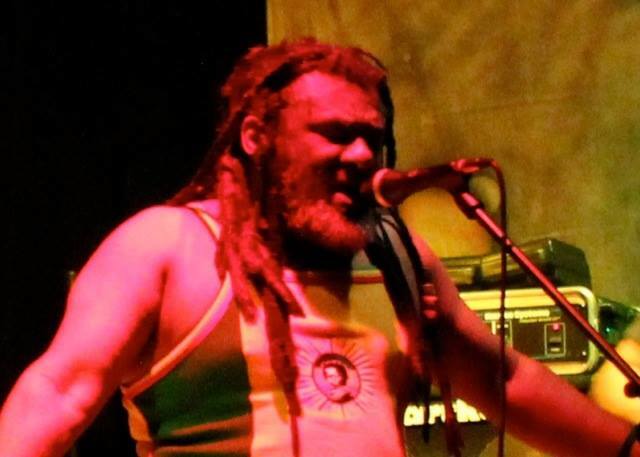 Culture Horn Sound System plays a very important role in the local sound system culture and scene of Russia, not only playing uncompromising roots reggae and heavyweight steppers, but also releasing their own reggae and dub compositions on vinyl.